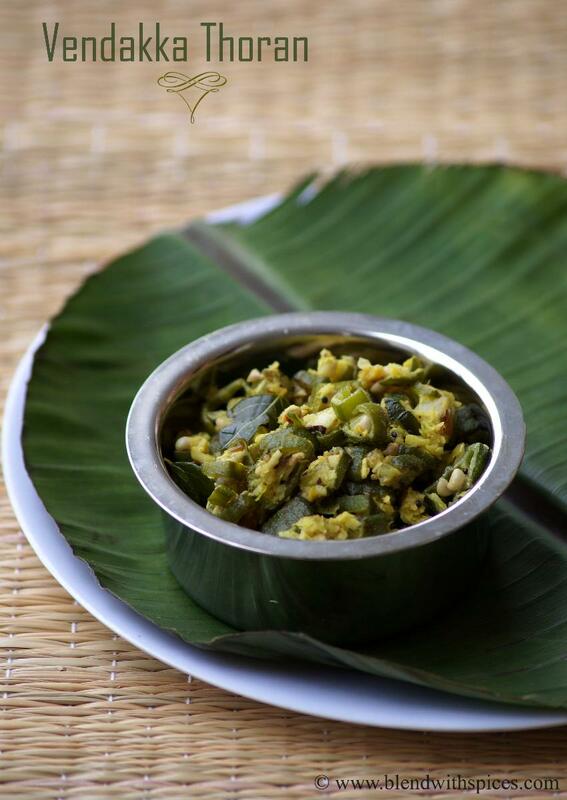 Vendakka Thoran is an easy, delicious and simple Kerala style stir-fry or side dish made with okra/ladies fingers, fresh coconut, spices and coconut oil. 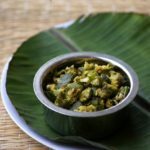 This thoran recipe is so quick to make and perfect for Onam Sadya. 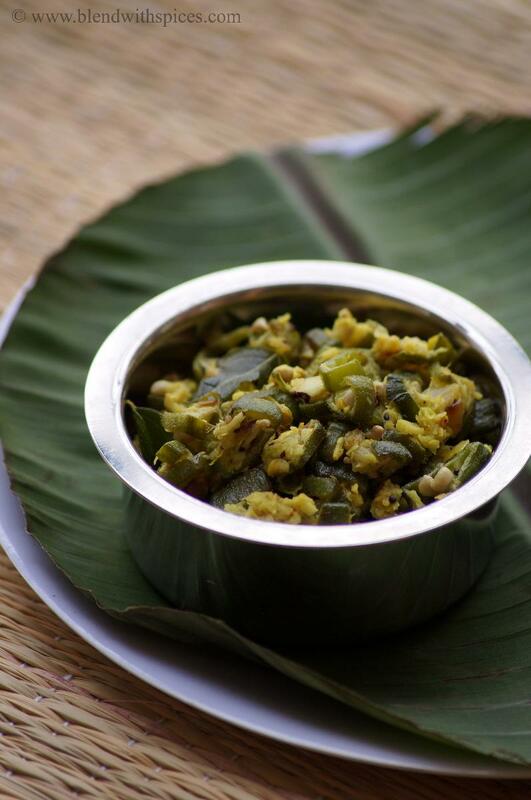 If you are looking for more Onam Sadya Recipes then check the below recipes. Wash, wipe and slice the okra and set aside. Heat coconut oil in a frying pan. Add mustard seeds and urad dal and let them splutter. Add the curry leaves and saute for a few seconds. Add 3 chopped shallots to it and fry until transparent. Now add the chopped okra and saute for a minute. Sprinkle a very little water and cover with a lid. Let it cook on a low – medium flame until pieces are cooked. Grind the remaining shallots, garlic clove, turmeric powder, fresh coconut, green chillies and cumin seeds to a little coarse paste and set aside. When the okra pieces are cooked, add the ground coconut mixture to it. Fry for 2 – 3 minutes and turn off the flame. Use coconut oil for the authentic flavor and taste. Never tried this version, looks good. I got to make this.